Sold by STSS and Fulfilled by Amazon. 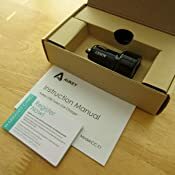 Sold by STSS and ships from Amazon Fulfillment. 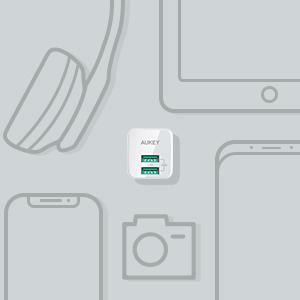 Tuned to support healthier battery function and faster USB charging speeds, AiPower intelligently adjusts power output to match the unique charging needs of all your USB powered gear. 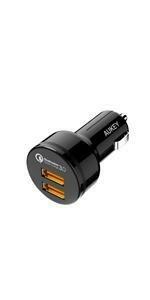 Whatever USB powered gear you've got, we've got you covered. 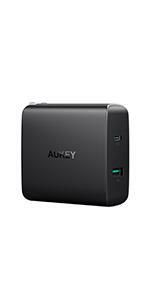 5.0 out of 5 starsPowerful & compact travel charger! 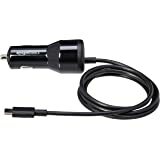 I first bought this charger on June 2015 (Amazon US). 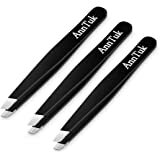 It serves my needs really well so I just bought a second unit from Amazon Canada and I wanted to write a review to help clear up some confusion around the product. 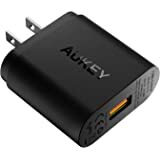 This charger does output the stated 5V/2.4amp. 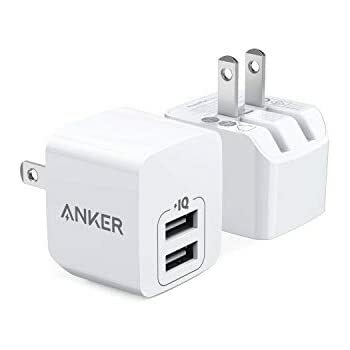 However, keep in mind that the amperage will be split (not always evenly) between the two ports when charging two devices that draws more than 5V/1A each. 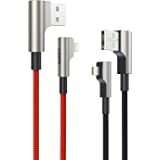 *There are some reviews that say that each port is limited to 1.2amp which is NOT true. 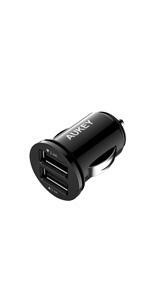 Each port can output up to 2.4amps as long as you don’t have another device plugged in the other port. 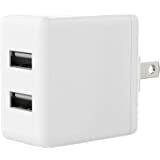 For example, the iPad Mini charges at 5.19V/1.85A when plugged in by itself but when I plug in the Asus Zen Powerbank in the other port, the charging rate of the iPad Mini will drop down to 4.92V/1.48A. Conversely, the Asus Zen Powerbank charges at 5.19V/1.91A when plugged in by itself but when I plug in the iPad Mini in the other port, the Powerbank will only draw 4.87V/0.92A. 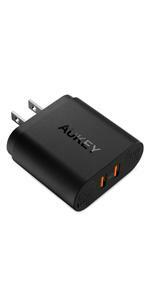 The port orientation is correct unlike other Aukey chargers. This give charger gives a bit of a coil whine. This charger does get hot especially when you have two devices plugged in. 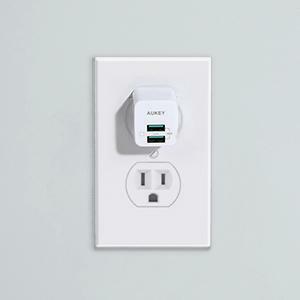 It will most likely block another outlet on a regular power strip. 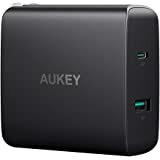 - Aukey has changed the USB ports from black to green and updated some of the labelling to only show “2.4A” instead of the original “2.4A Per Port” since this confused a lot of people to think that it could output a total of 4.8 amps. 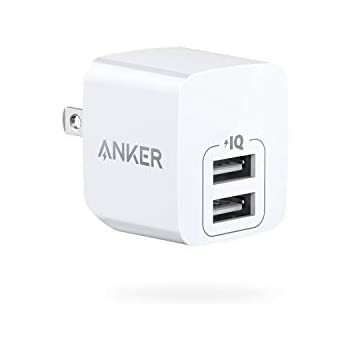 The coil whine and the small white LED light (power indicator) doesn’t make this a practicable bedside/overnight charger unless you plug it across the room. 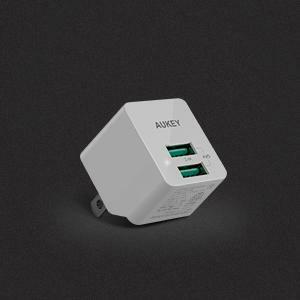 However, this serves as great travel charger that you can keep in your bag for on-the-go charging. 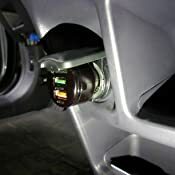 Personal suggestion: Buy the white version if possible so you can help avoid the look of fingerprints and have an easier time finding the charger. If you found this review helpful, please help out other potential buyers by clicking the “Yes” button below! 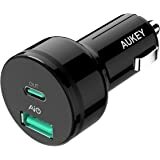 1.0 out of 5 starsIf you want to blow up your phone, this is the charger for you! 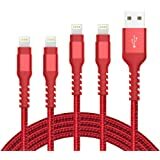 Had a perfectly good, two week old Essential Phone...bought this charger to have extra around the house. Charged phone for first time this morning...after taking off charger, phone acted wonky. The phone locked up completely...just froze, then restarted a couple of times...then finally cut off and will not restart. No holding volume down/power...just nothing. Not sure what's in this charger, but definitely beware, as I have literally never had this happen before in the 7-8 years of owning smartphones (and I've have a TON of them). Trashed a perfectly good phone. If I could submit 0 stars, I would do so. 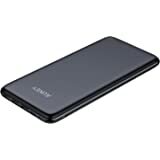 5.0 out of 5 starsAll 3 I've bought have worked perfectly, zero issues, fully functional, extremely compact. 5 stars, 6 if I could give them. 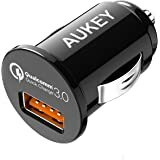 I have a couple of these to keep in my luggage and computer backpack so that I will always have USB charging power for whatever life throws at me. 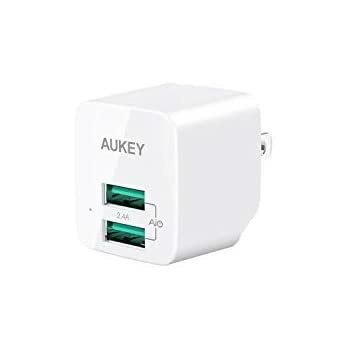 I got one, and it worked extremely well, absurdly compact with the prongs folded in and always enough power from both ports. 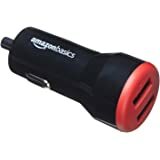 When I wanted another for my travel kit (I don't want to fiddle with moving things back and forth from my computer backpack to my luggage and forgetting to put it back), I went straight to my orders and found where I had purchased this unit, and bought another. There may be others out there of good quality, but once I find a good thing, I stick with it. When my wife saw it on a trip we took, she, er, appropriated it for her own use (oh, the things we put up with, right?? 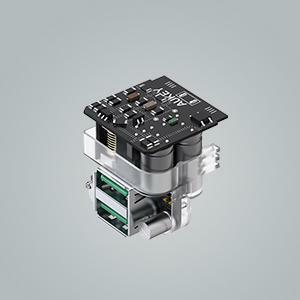 ), so I ordered yet another one of these units. 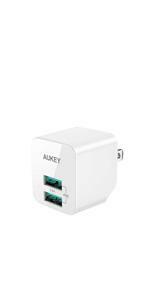 There are others out there which deliver high power from both USB ports, this one has one high power and one standard. 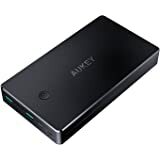 None of the "high/high" power units are this portable and compact, however, plus I don't ever need two high-power ports, since I charge my phone and my headset, or my phone and my Anker Powercore USB battery pack, or my smart watch - none of which require high-power USB. 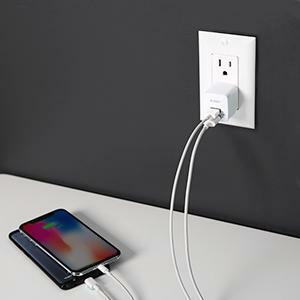 Both USB ports will charge a smart phone, don't get me wrong - but sometimes you want the smart phone charged in 60-90 minutes, and that's when the high-power port is needed. Most of the time I am charging things overnight, so any port works for anything. 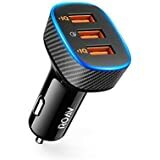 I generally also use the two USB ports on my laptop for "lower-power device" charging needs (headphones, smart watch), but it's nice to have a couple more charging ports in this day and age. 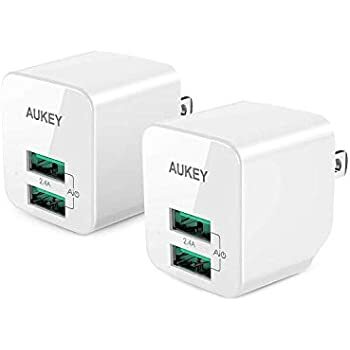 These compact power cubes are great for bringing along in a pocket, along with a "three-way" USB power cord (USB-C, micro-USB and Lightning), in case I or a friend (including my wife, thankfully) need to top off towards the end of the day. 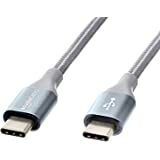 I have Android and my Galaxy S8 uses the new "any orientation" USB-C, while my Qi and S3 watch chargers use the micro-USB. 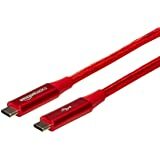 My wife has an iPhone and a Kindle, so she is Lightning and micro-USB. 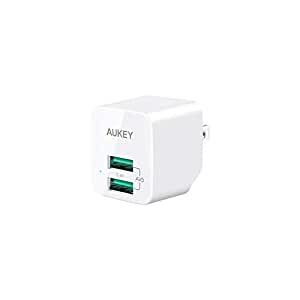 I keep a 3-way cord with my portable USB battery pack and a couple more to take along with one of these charging cubes - this has saved our butts many times over, and you never even know this little power cube is in your pocket. All 3 I've bought have worked perfectly, zero issues, fully functional, extremely compact. 5 stars, 6 if I could give them. 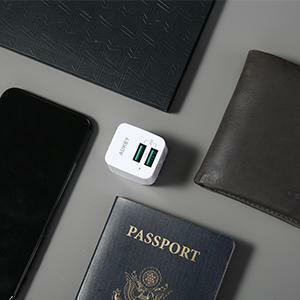 This USB wall charger folds up into a small square that's easy to keep on hand in a pocket or purse for traveling and ensuring you have a way to charge your mobile device. 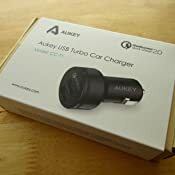 While not a quick charge type device with 2.4A it still provides enough juice to charge a mobile device reasonably fast. 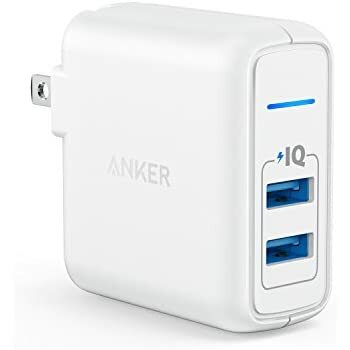 I'd tested this USB wall charger with my cell phone that was close to 64% left and my mobile device stated it'd be about 26 minutes to charge it back up to full. 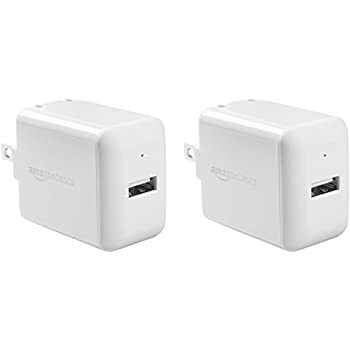 That's reasonably quick from some other dual USB port chargers I've borrowed in the past, and it provides the same level of my original phone charger that's usually kept at home because it's slightly bulky. 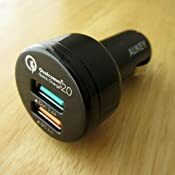 I picked up this wall charger mainly for travel, but I'm pleased to see that it's pretty well made to charge and be compact.